The Interfaith Ketubah text which is written both in Hebrew and English in a circle symbolizes a ring, a circle with no end, Eternity. The brown Ketubah is surrounded with Wild Roses, Blue Flowers and a delicate assortment of different shades of brown leaves. 23K Gold Leaf dots are embedded between the leaves. The names of the Bride and Groom are written in gold paint. 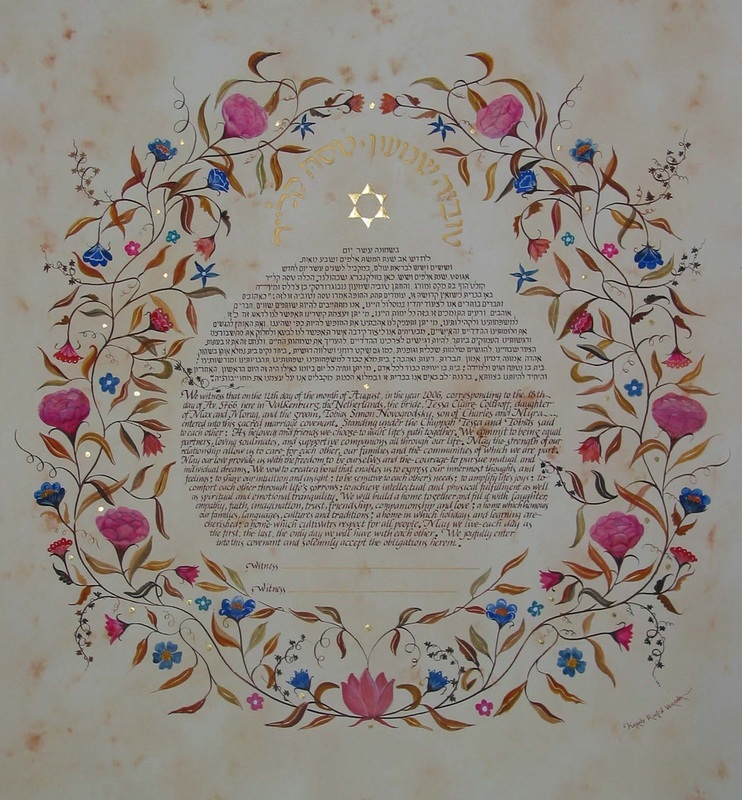 In the center of the Ketubah is the Star of David in 23K Gold Leaf.